The client required highly flexible open concept office spaces. 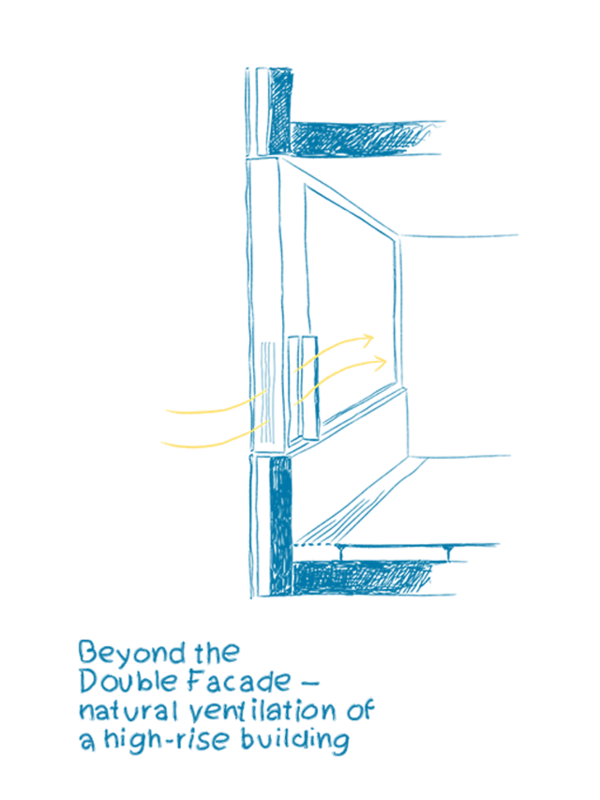 In order to use natural ventilation in a high-rise building, several facade options were investigated. 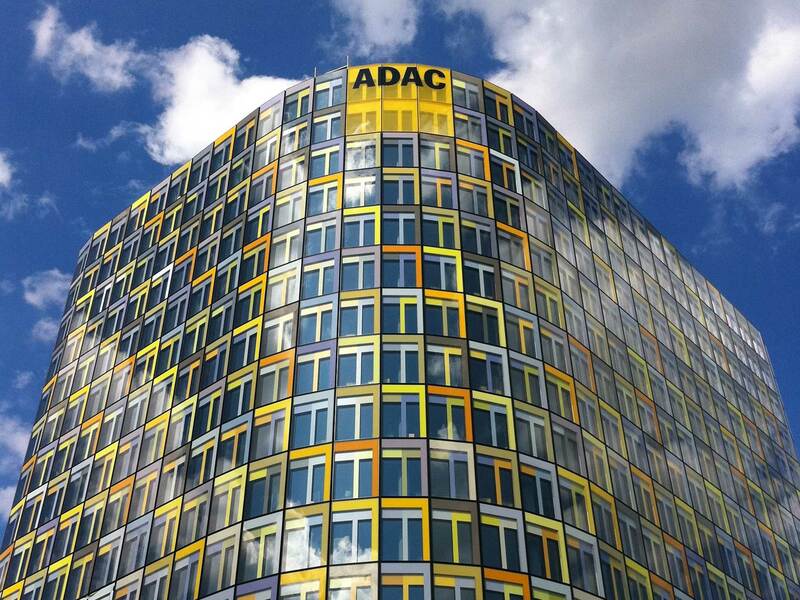 To reduce complexity and automation needs, a single shell facade of composite boxed windows was selected. It has double glazing on the interior, integrated blinds, and an external single glazing protecting the blinds. 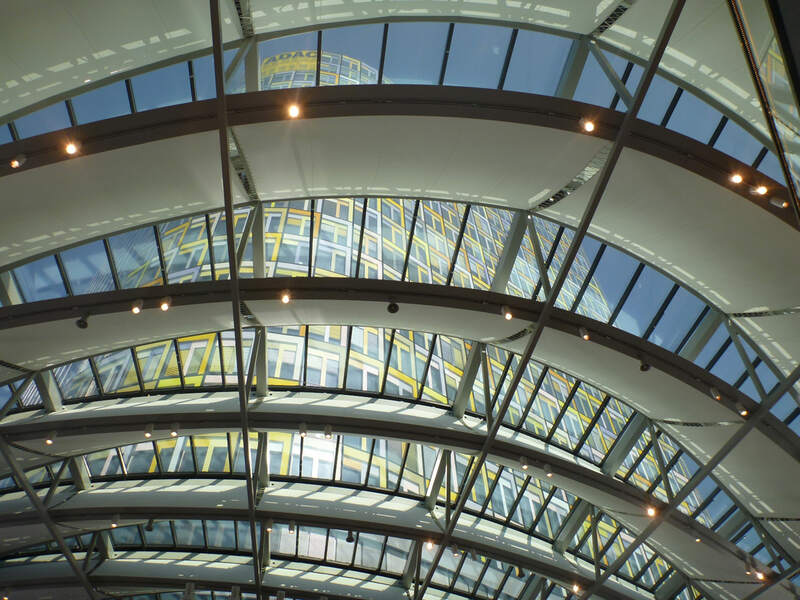 A special flow control element was developed to integrate manually operable windows in this single shell facade. 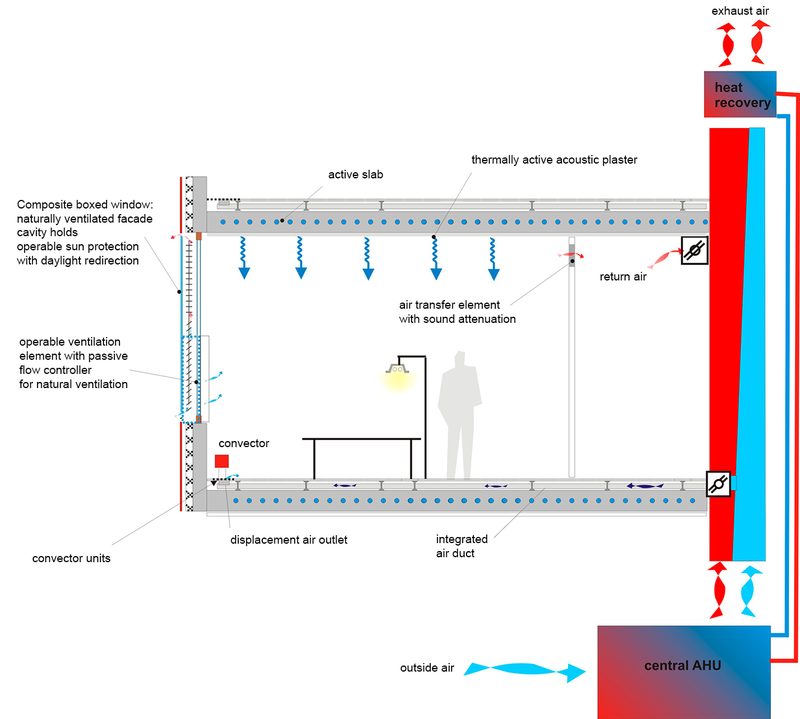 The element passively controls the air flow into the room even with a high external air pressure on the facade. 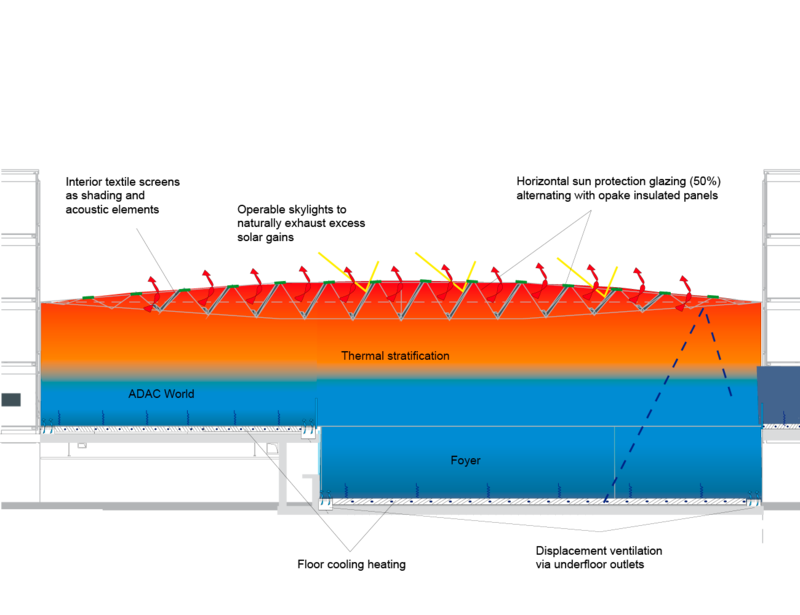 With these elements, individualized natural ventilation in an open concept office was realized, even on windy days, without the discomfort of drafts or increased heat losses. On calm days these controllers open up passively. The building complex is conditioned by thermally-activated concrete slabs. A displacement ventilation system with integrated heat recovery provides fresh air to all spaces to ensure optimal air quality, even in extreme cold or warm periods. 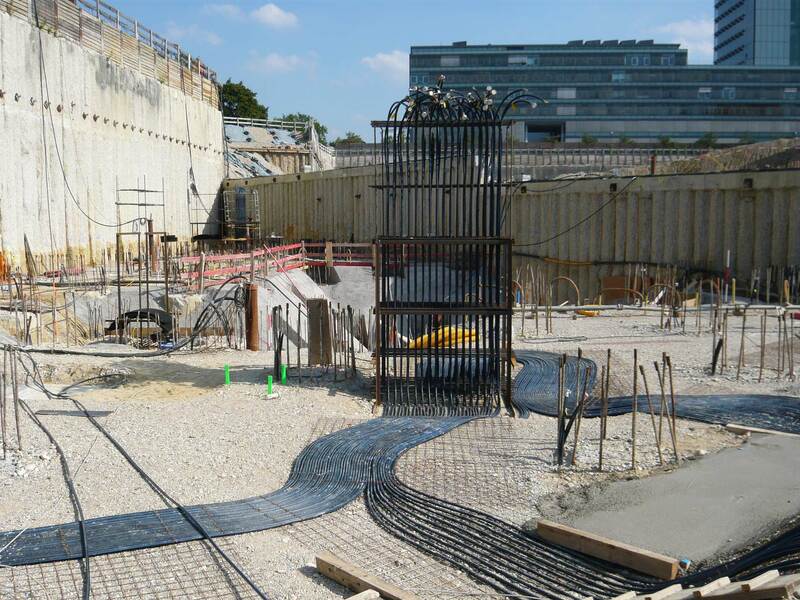 The main sources for cooling of the concrete slabs are: a geothermal foundation pile heat exchanger system, free cooling in evaporative cooling towers, and ground water wells. 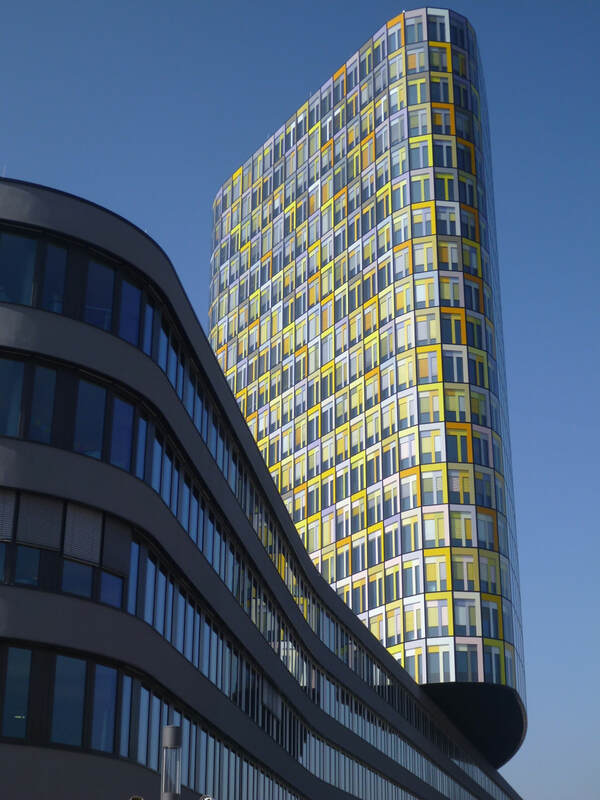 Heat is provided by the geothermal systems using heat pumps and a connection to the highly efficient district heating network of Munich. 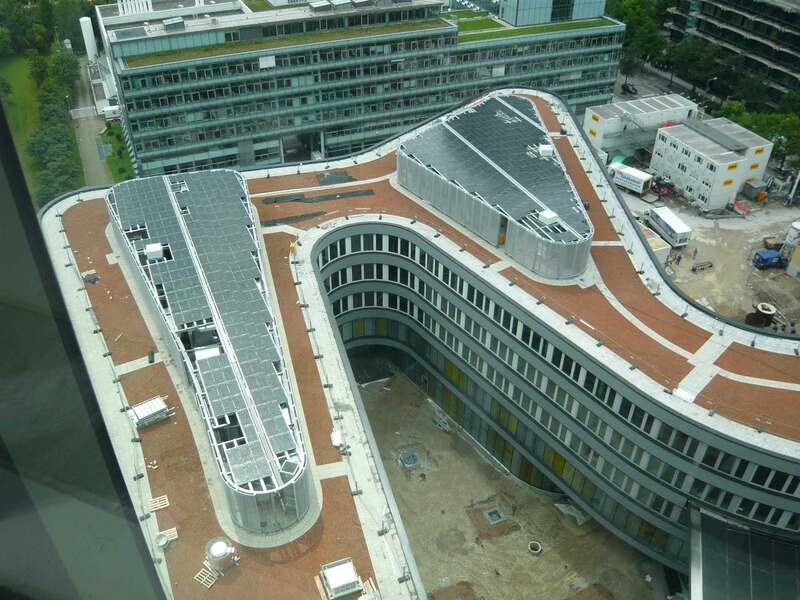 Renewable electricity is generated by integrated photovoltaic modules on the low-rise building’s roof.